When Great Crested Newts (GCN) inhabit a pond, they deposit traces of their DNA in the water as evidence of their presence. 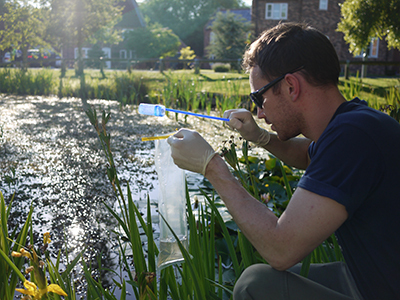 We analyse that water just like we do from a crime scene, to identify the presence of Great Crested Newts, leaving you to survey the negatives conventionally. It's that simple, though the analytical process is meticulous and can only be done in laboratories set up to conduct DNA work. We provide full instructions with the kit, or we can offer a full collection and analytical service. Our testing services come complete with a DNA-free sampling kit delivered to your door, a full report and advice. Both require a kit purchase of £20 which is then deducted from the cost of the analysis. We use the same methodology as described in the Defra Project WC1067 which is an accepted method of screening using eDNA and we are listed as a quality supplier of this service by Natural England. 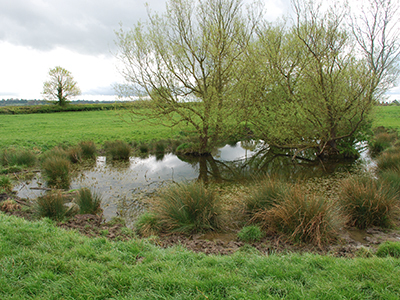 NRW have issued advice regarding eDNA which states that the methodology used in Defra Project WC 1067 will be accepted as screening: more information. Natural England's guidance for GCN references the Defra Project WC 1067 when describing the option of eDNA testing.